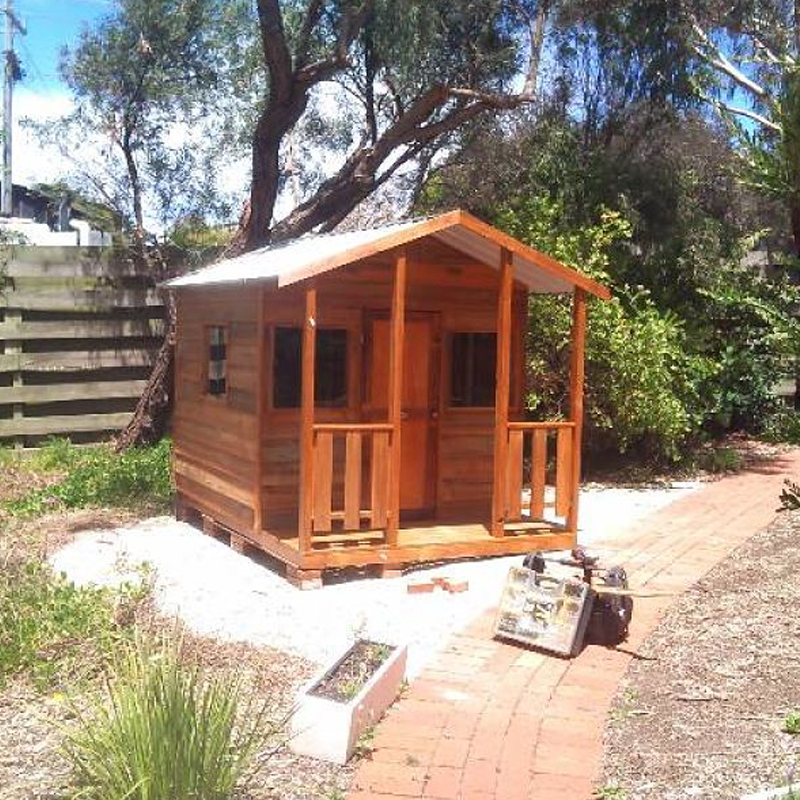 Being one of the smaller cubbies within our range, the Beach Shack fits nicely into any backyard. 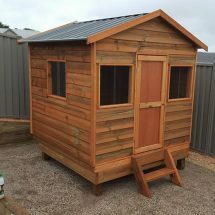 With no verandah this cubby opens up plenty of other possibilities. Add a café servery to the side of the cubby that will transform the area into an imaginary shop front. Continue along this theme by adding a couple of flower boxes and a letter box and let their imagination run wild! The Beach Shack creates a great environment for your kids to play within the safe confines of your backyard. While our cubbies can be stained to protect the timber and give it a darker finish, you can also consider painting it a range of colours to please your children! 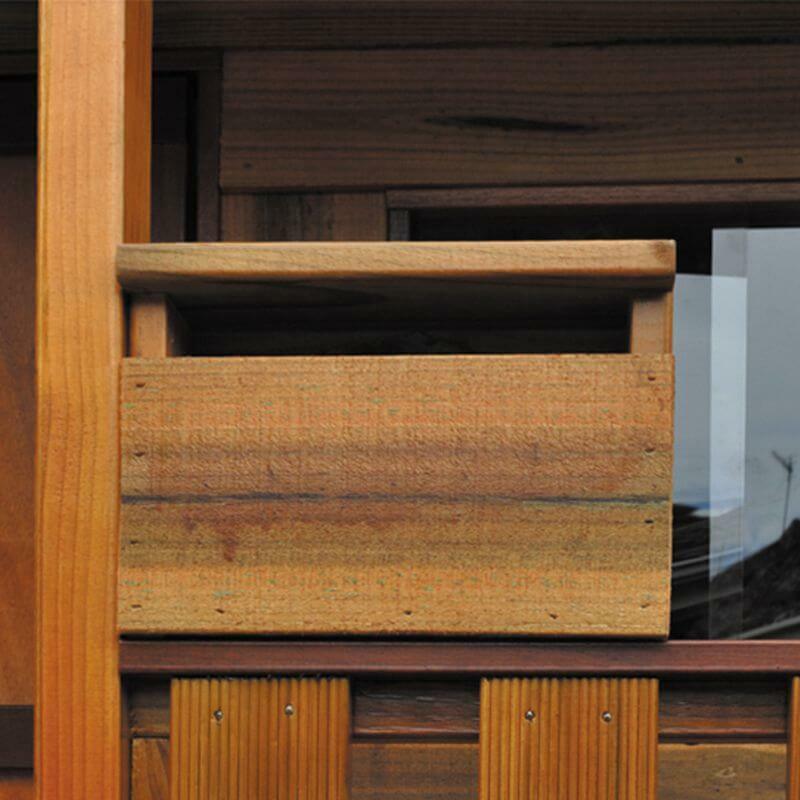 Our cubbies come as a raw timber finish. 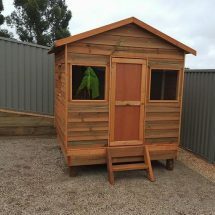 If you would like a darker look there is the option to stain your cubby house. 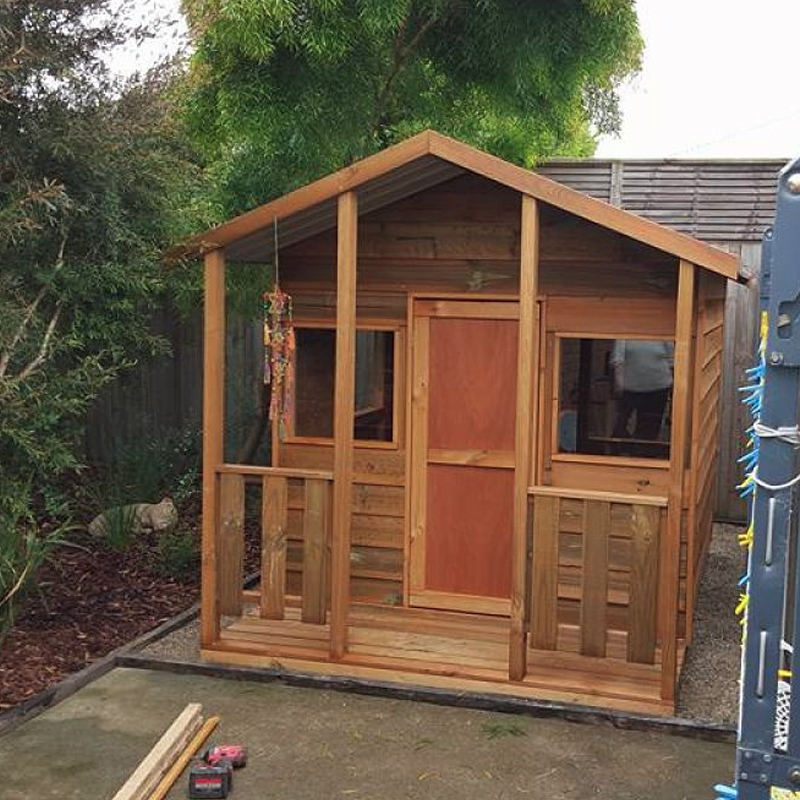 Alternatively, many customers choose to paint their cubby the favourite colour of their children to brighten up the backyard! Adding an elevation opens up many possibilities for your cubby house. For the Beach Shack there is only the option of a 0.45m elevation due to the absence of a verandah. The elevation can either be concreted into the ground or sat on the surface. Like our cubbies and forts, these elevations can be stained if desired. serveries and barn doors promotes imagination and ensures your children remain active and outdoors. For the DIY enthusiast, our cubby houses and forts are the easiest and best product on the market. All of our cubbies come in pre-made walls and roofs and you only need to screw together the separate panels using a cordless drill and your cubby house will be assembled in no time! 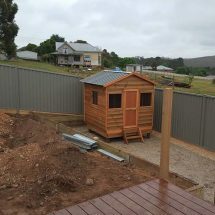 Please ensure the ground is flat and level prior to erecting your cubby house. There are a great range of videos and notes to help guide you through the installation process. 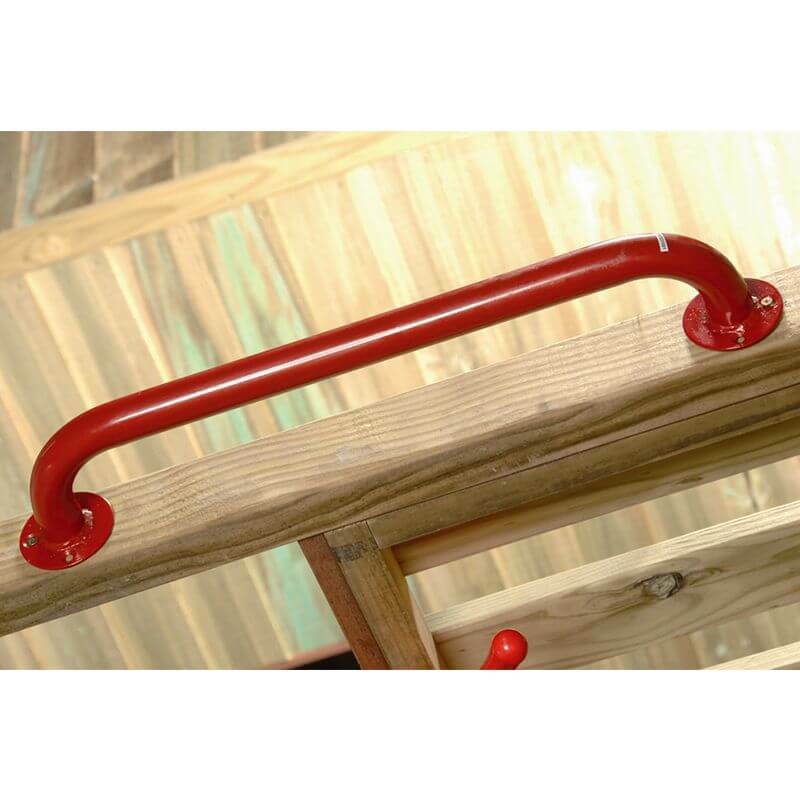 Alternatively, if you require installation to be done for you then contact us and we can help arrange it. We provide a range of other services including site preparation and concreting throughout Ballarat, Melbourne, Sydney, Adelaide, Geelong and Bendigo. If you are outside of these areas then contact either your local distributor or us for assistance. 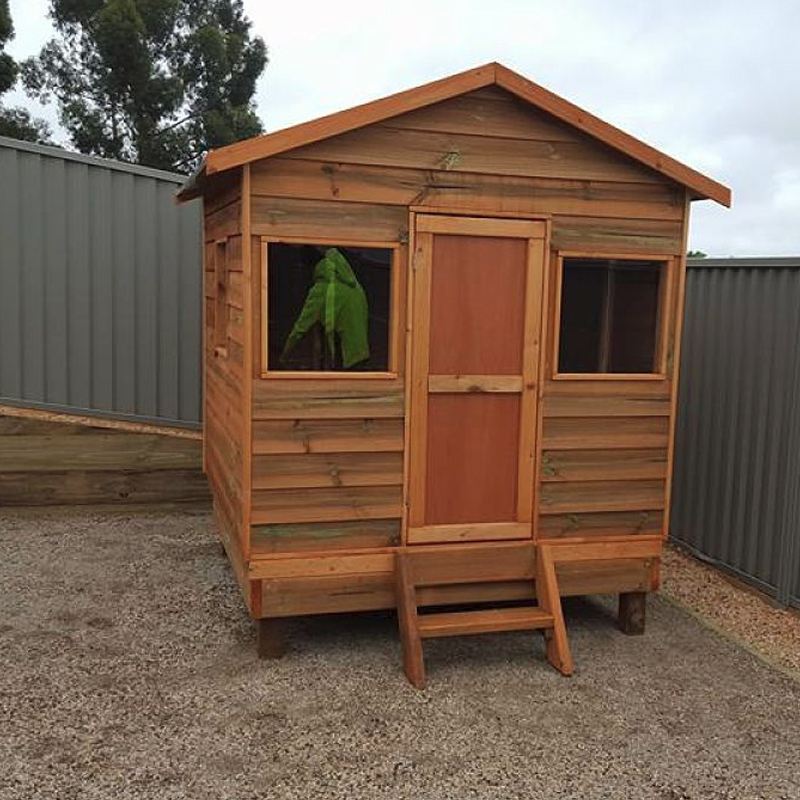 Our cubby houses can be installed directly onto the ground, however we do stress that the ground is completely flat and level with a layer of compacted crushed rock. If you are looking to install an elevated cubby house and want to concrete the posts into the ground then please follow the instructions contained in the PDF file. We do offer site preparation and concreting services throughout Ballarat, Melbourne, Sydney, Adelaide, Geelong and Bendigo. 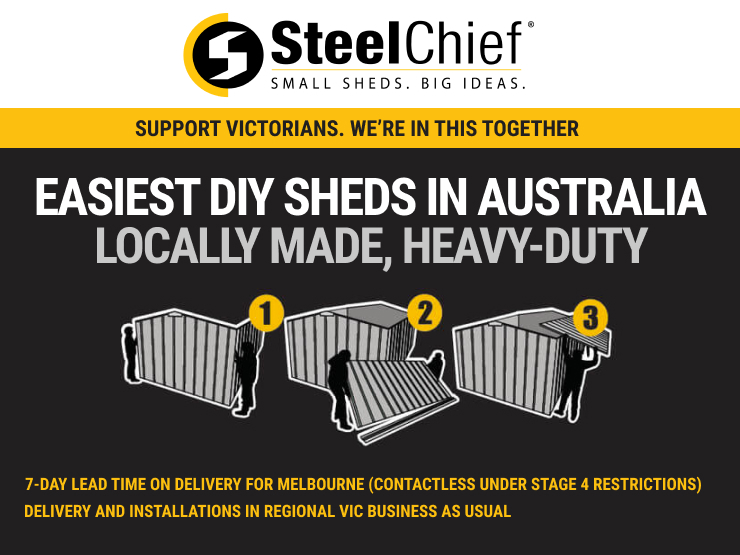 If you are outside of these areas then contact either your local distributor or us for assistance.